Barry Devlin, founder and principal of 9sight Consulting, will provide topical insights into analytics, big data and collaboration at the ITWeb Business Intelligence 2014 Summit. The ITWeb Business Intelligence 2014 event features top-rated local and international speakers, and a host of local success stories. Themed "Agile BI. Analytics. Big Data", the event includes two half-day interactive workshops, ensuring a comprehensive BI experience for delegates. The international keynotes will be presented by Mark Madsen, president and founder of Third Nature, and Lawrence Corr, director of DecisionOne Consulting. Madsen's presentation will focus on BI and the value it can and should deliver to the business, in the context of global and local trends. 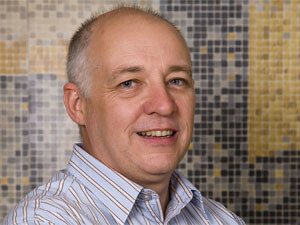 Corr will concentrate on trends and technology approaches in the agile BI space. Among the local keynote speakers is Barry Devlin, founder and principal of 9sight Consulting. Devlin's presentation will provide topical insights into analytics, big data and collaboration. Among the case studies on the agenda are a presentation on applying big data concepts at Nedbank, and an in-depth look at how to achieve business benefits out of the strategic use of BI at Basil Read Mining. Other local BI success stories will come from Stanlib Asset Management, SARS, Old Mutual, Silica and MTN, with 2013 Visionary CIO of the Year, Sal Laher, presenting on a multimillion-rand BI implementation at Eskom. The workshops will cover agile dimensional modelling and information architecture for business analytics. Both interactive sessions will leave delegates with the practical knowledge they need to ramp up their initiatives in these areas in their own businesses.